It’s been two weeks since this day actually happened. For a while I thought that the picture was enough, that that said it all. And I guess that I knew that writing this post would be the very last thing I do “on the trail” and I didn’t want it to end. This final day began early. Earlier than any other day on the trail. I was lucky to have slept at all. It would have been even earlier but the ranger station at the park didn’t open until 7 am and that’s where we left all our excess gear in preparation for slack-packing the summit. As it was we were up before six and on the way down to the ranger station around 6:45. 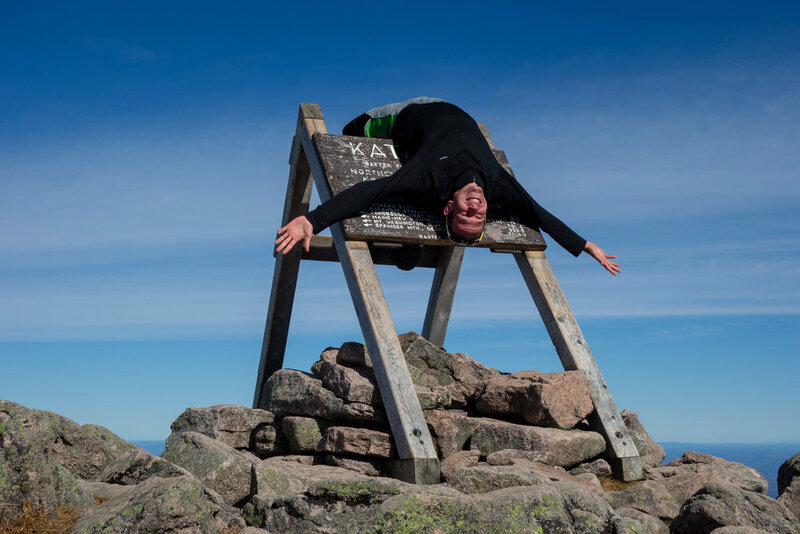 We unloaded some gear – tents, sleeping bags, anything we didn’t need for Katahdin, and then started the trail, one last time. Only 5.2 miles to the summit. As we began we found a super nice trail, rising only gently, and mostly free of rocks – a nice surprise. It lasted maybe a mile and then turned upward, becoming steeper and getting more rugged at the same time. We passed Katahdin Stream falls and the trail turned away from the stream shortly after. The difficulty continued to increase, but the caffeine and adrenaline had me in a zone where none of that mattered. I felt like I was pulling 3 mph where normally the pace would be less than 2. We started hitting some bigger rocks and nearing what seemed to be the start of the boulder climbing section while Landon and Miranda were talking about how that should call their parents from the summit, “we could try but it’s Sunday, they are going to be in church,” Landon said. Only moments later, we rounded a curve in the trail, and there were two older people with a video camera pointed at us. 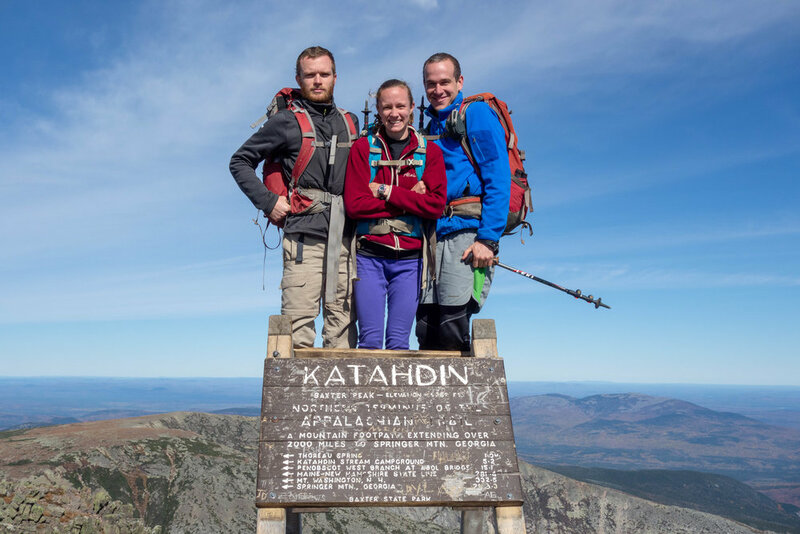 It was Mom and Dad come all the way from Florida and trying to make it to the top of Katahdin on their first hike! L & M took a few minutes to recover from their shock. 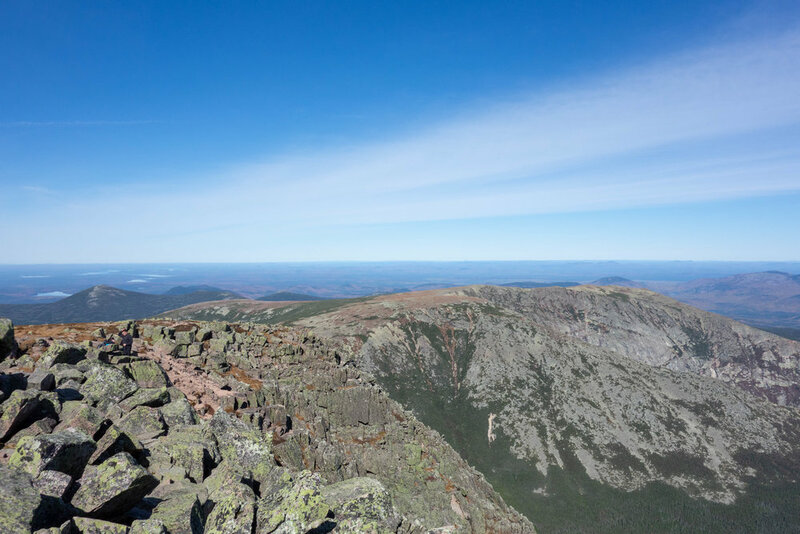 They couldn’t believe their parents were there, or had made it half way up Katahdin. We all hung out there on the side of the mountain for a few minutes – chatting, having a few snacks, and feeling our hands start to go numb from the still cold morning air. We saw why they had chosen this point to stop and cancel their ascent to the summit – this is where it got serious. There were metal handholds attached to rocks ahead and you had to pull yourself up onto the huge boulders. Soon the parents headed back down to the campground and we began the last few miles to the top. The weather that we had once feared would be rainy had turned out to be clear blue skies, comfortably cold temperatures, and almost completely wind free. Perfection. Good thing too because most of the rest of the way was navigating a sometimes near vertical boulder field. There were probably a dozen or more times where we were hauling our bodies up rocks with hands and arms. Still we were moving as quickly as possible, fueled now by being able to see the high ridgeline ahead with the summit on it. After some solid climbing the trail levels off again on “the tableland,” a reprieve from the vertical ascent for at least 1/2 a mile. 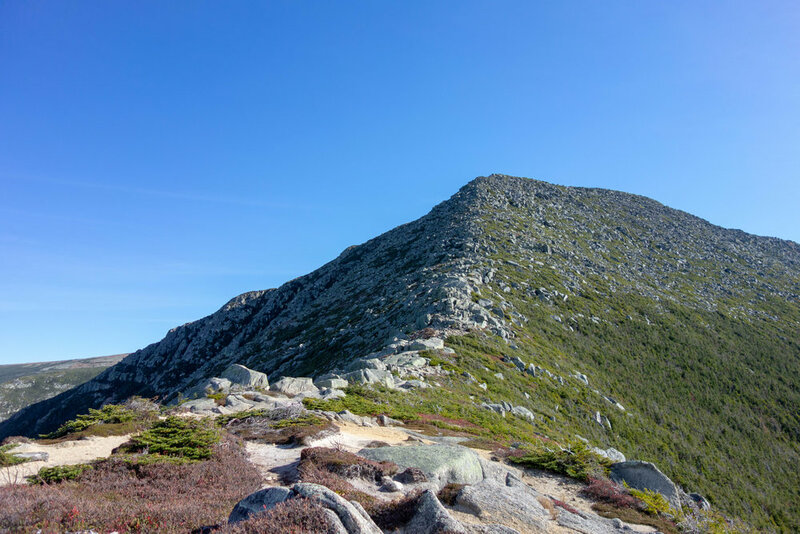 As we walked along the tableland the summit itself became clearer, we could see the crowd of people massed at the top, lingering about and enjoying the view. The final climb from tableland to summit was short, and over all too quickly. 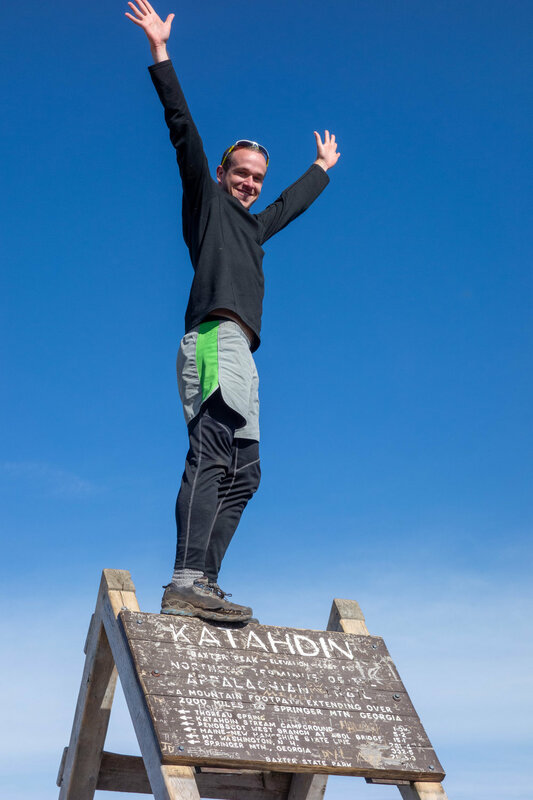 We arrived at the summit just after 11 o’clock in the morning on Sunday October 6, 2013. The end of a 2185.9 mile journey. I had thought about this moment quite a lot throughout these five months and I was never quite sure how I’d react when I made it. I think if there weren’t 30+ people within 30 yards of the summit sign I might have yelled, or cried, or something; but as it was all I could do was sit down, silently, and just think about the trail. That it was over, that I had made it. That we were done, and this was it. Of course there were a few Team Hustle & Flow hugs, and pretty soon we got started with the most important photo shoot of the trip. 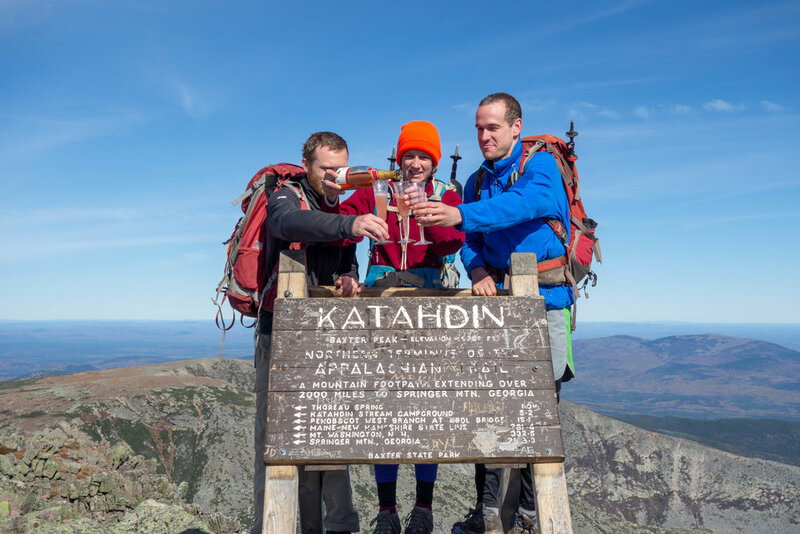 We started by celebrating with the champagne Miranda had carried up, and moved into all the shots of us and the Katahdin sign. I called home to say Hi to Mom and Dad from the summit, and then after about 75 minutes up there we turned around and went back down the mountain. Back down into the real world, back into civilization. The past few weeks I really felt like I was ready to be done, but now, actually being done is making want to stay out here forever. 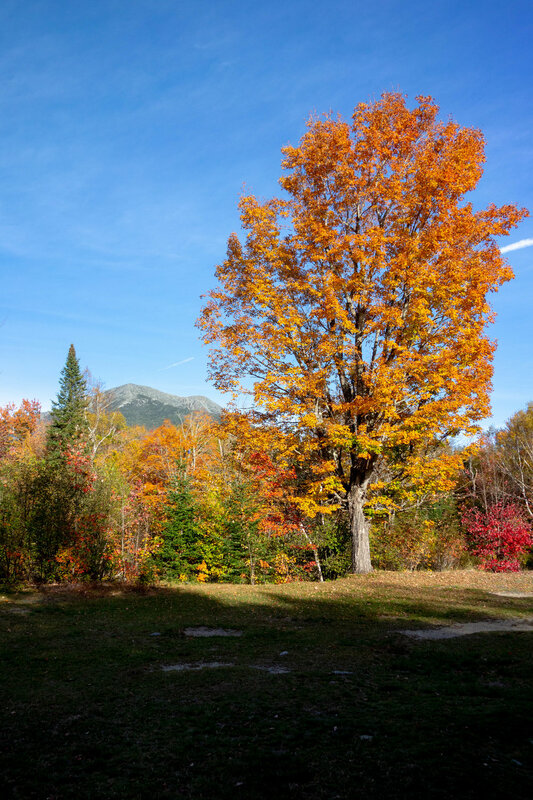 I knew that phase would hit eventually; for a lot of people it starts a few days or a week before Katahdin. These were the greatest five months of my life. The sights were spectacular, the journey was incredible, and the people were amazing. I feel so fortunate to have made it all the way, and to have met Miranda and started a relationship out here on the trail makes it more incredibly special than I could have ever imagined. It will be a summer that I will always remember, an adventure I will never forget. One day left now. 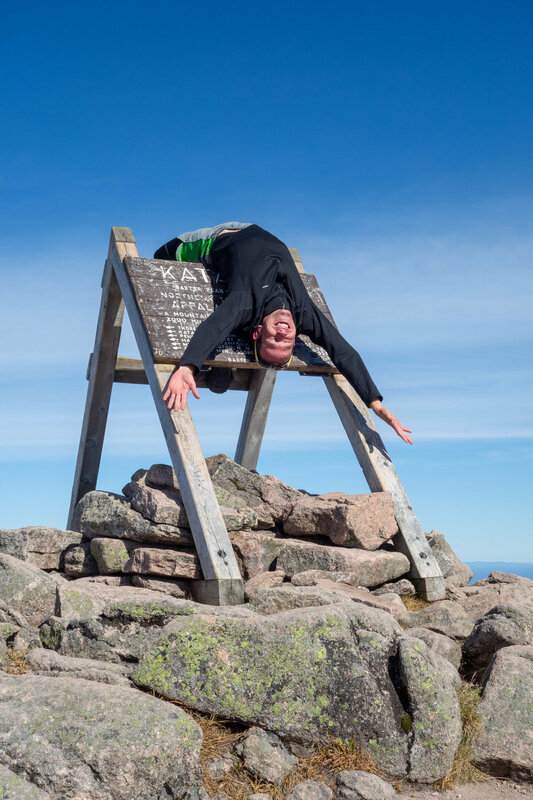 Only the climb up Katahdin. 5.1 miles. 155 days since Springer Mountain and tomorrow will be the final day. Still very ready for the end, but I guess now I know that I will definitely miss being out here as well. The day began with a torrid pace as Miranda and I pushed hard to cover the 11 miles to Abol Bridge as quick as possible. We had both completely exhausted our food bags after breakfast and a mid morning snack, and there was a real restaurant waiting at Abol. Needed time to eat, and still do 10 more miles after. 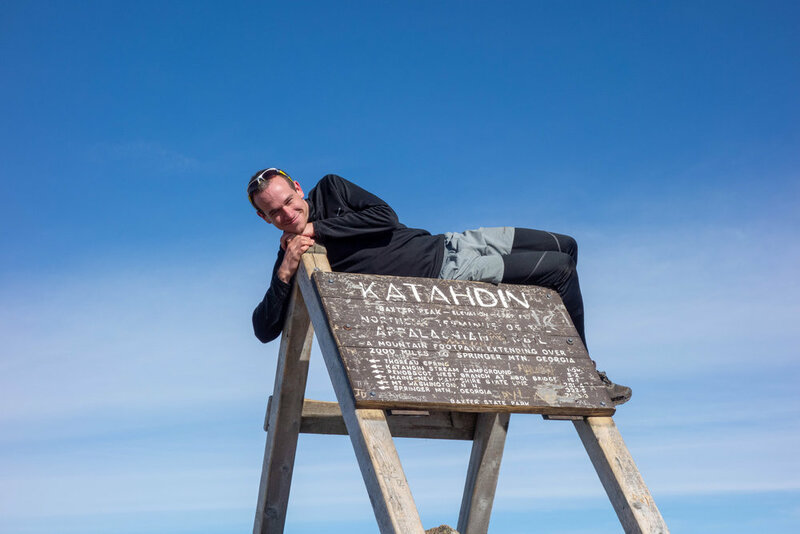 We made it there before noon, no problem after getting a couple more looks at Katahdin on the way. First from Rainbow Ledges early in the day and then from right on Abol Bridge, the best view yet. Landon caught up to us just as we were on the last few tenths of trail before the road and we all ate together. The food was amazing, some of the best on trail, very surprising considering the location. Possibly the best mozzarella sticks ever, and a great burger. Also picked up the food I needed for my last trail meals – dinner tonight and breakfast and snacks for tomorrow. 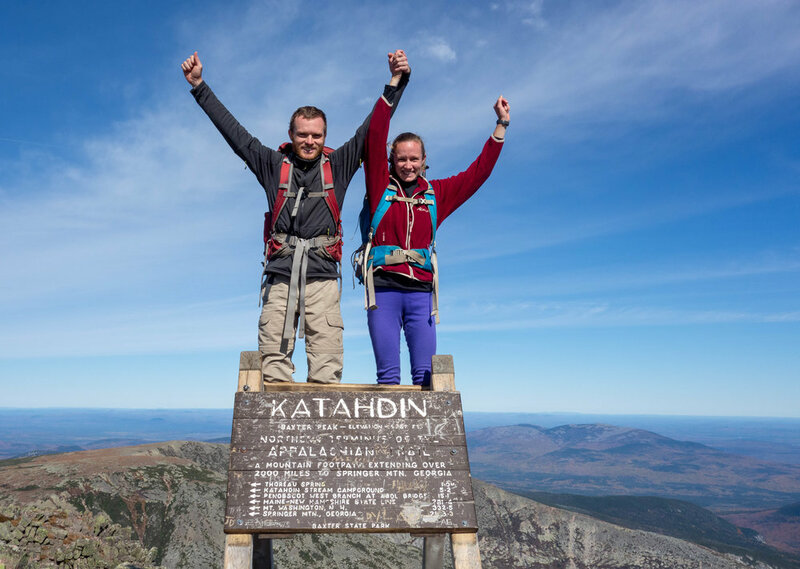 We were super excited to be on the final 10 mile stretch before Katahdin after lunch. We crossed into Baxter Park and signed up for the thru-hiker shelter, and forded our last two streams. It was flat and mostly smooth and easy trail, a welcome change from the 100-mile wilderness terrain. Everyone is enjoying our last evening on the trail. It’s a bit cold tonight and probably will be for the climb tomorrow, but the forecasts of rain that once existed for tomorrow have been updated to sunny skies. 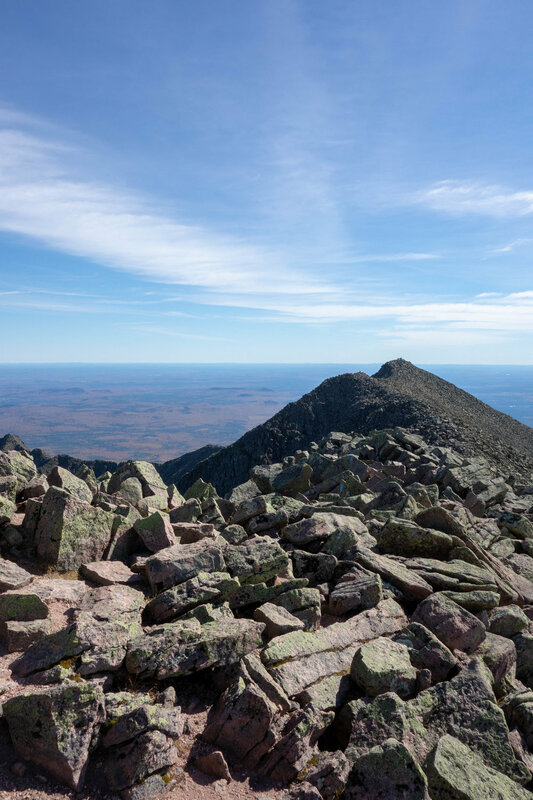 On the last mile or so into camp I could see Katahdin through the trees; it’s slightly intimidating because we don’t usually see what we climb ahead of time, and of course because this one is particularly steep. Well, its 9:30 and we are planning on being packs ready and on the trail by 7:00 so about time for bed. Gonna be a lot to write about tomorrow. A day of journal lost to total exhaustion! Getting close though. A little trail magic right at the end of the day, an early finish with daylight to spare, and a relaxing evening not at a shelter was fantastic. Slept well and was feeling good today. The trail morphed into a less treacherous version of untamed wilds – there were many fewer rocks and the roots were much more manageable. The day began with another water crossing and then we slowly gained elevation as we approached the last climb before Katahdin. The big one was White Cap Mountain, but first came a series of three smaller associated peaks. The climbs were pretty steep but all short and we made quick work of them. On top of White Cap the trail turns North and descends that side of the peak. 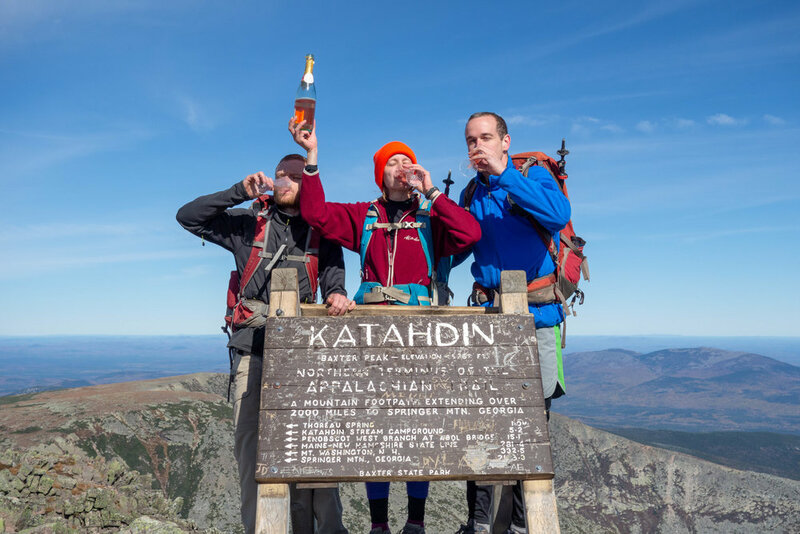 Katahdin becomes visible for the first time. Today only semi-visible. The top obscured by clouds, only the eastern edge visible as a faint wisp of a gray form emerging through the haze. Still incredible. Over 2100 miles done and now to finally be able to see the mountain that has been driving the whole adventure. Still three long days hiking until we are ready to climb it, but that’s 62 miles of essentially flat ground. 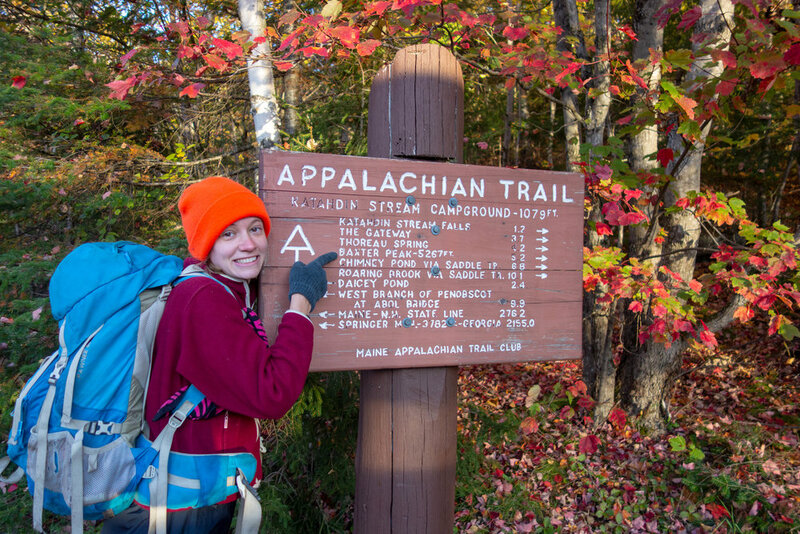 So close to the end and we are still meeting new thru-hikers almost daily, well “thru-hikers” anyway. Mostly more yellow-blazers. Today while taking a break at a midday shelter one asked where we had started the day, we told her, and she said we were making good time. Landon agreed, telling her we were with the exception of yesterday where the trail was so rough and rugged. She said she had heard that that was the case and had skipped that section. 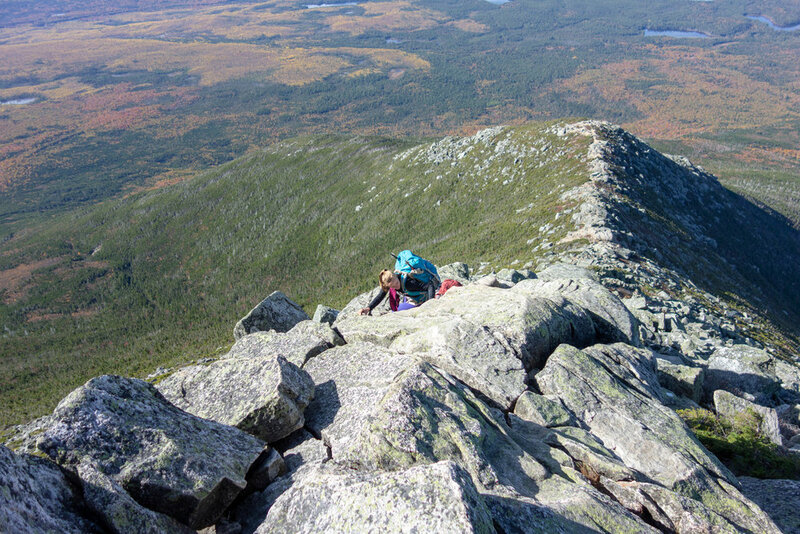 I almost asked her if she had heard Katahdin was five miles of intense vertical climbing… it sounds taxing to me, maybe she should skip it. So apparently even with nothing but scarcely used dirt roads hikers are able to find people to carry them around in cars. We did meet one new guy, Ketchup, who is a fellow purist. We all found it remarkable that out of the whole group of 15-20 people about a day behind us there are maybe 2 who haven’t skipped significant sections. 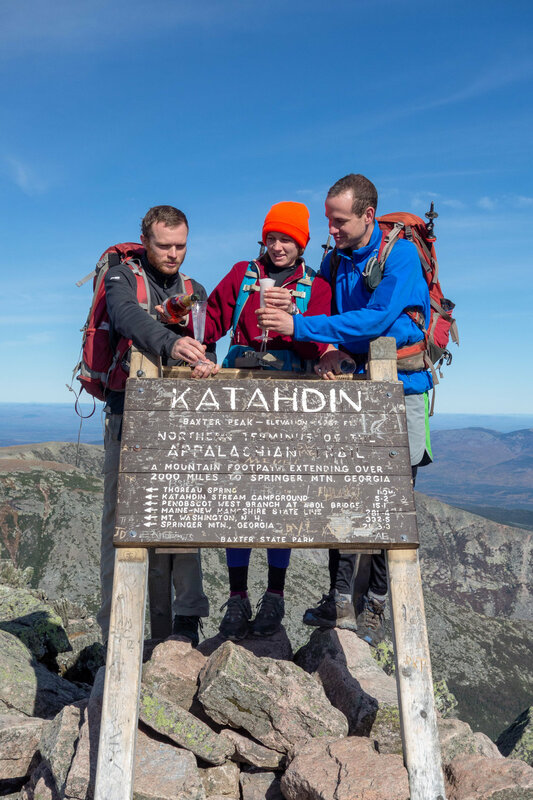 From the books I had read and the stories I’d heard it sounded like many people spent the last few days before Katahdin wishing that the trail wouldn’t end. For me it’s quite different. The closer I get to that last day the more it feels like time is slowing down. I never got any real feelings of ready to quit / ready to be done in the middle of the trail like most people, but now I’m good and ready. Maine is rugged. The scenery is nice but the trail is endlessly rugged. Roots tangle together, intermingling with rocks to create an endless obstacle course for the feet. 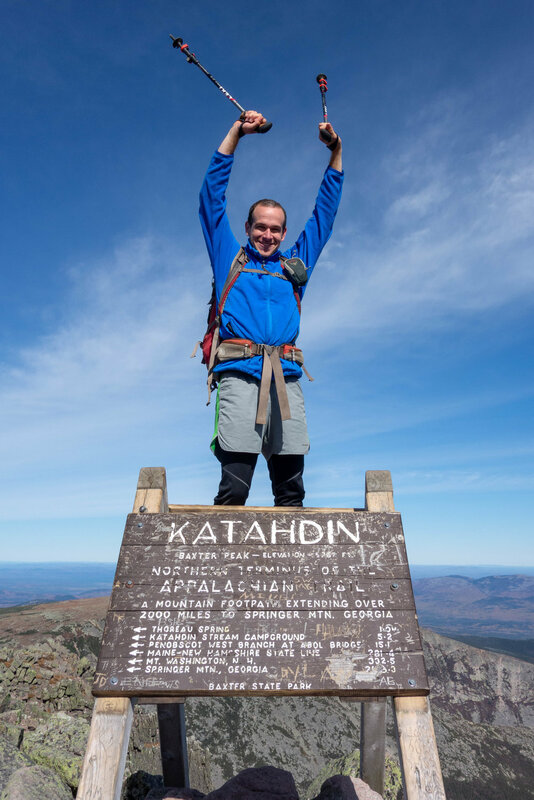 Knocked off a few more little mountains today though, tomorrow features another group of four, most notably White Cap Mountain, the last significant climb before Katahdin, and also the place where we can see Katahdin for the first time. 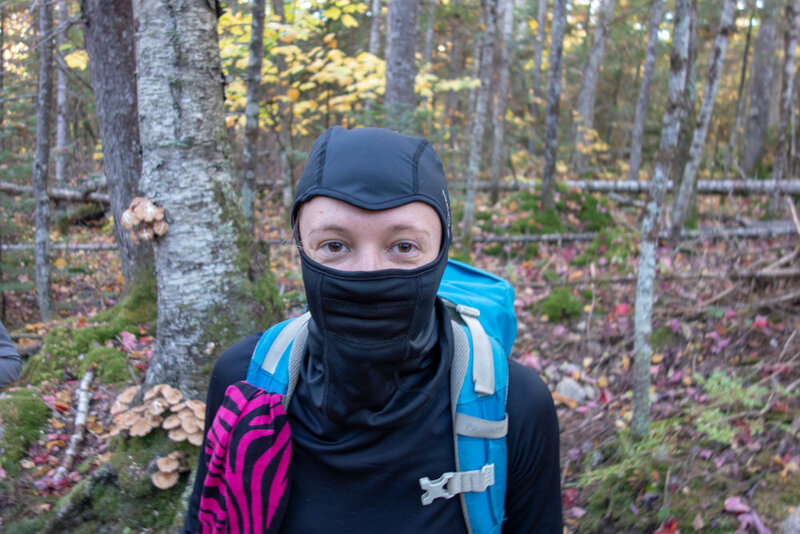 There was a nice bit of trail magic tonight – turns out there are a few old dirt roads out here – there was a cooler full of soda and a bag with a few pasta sides / ramen. Awesome to find ice cold mountain dew in the middle of the 100-mile wilderness after a tough day. Also, nice to be away from a shelter tonight and camping by a stream. Looking back, it’s hard to believe I spent so many nights in shelters – tenting is now much preferred. Time for some rest, another day closer tomorrow.